As the season starts to change, many look forward to wrapping up and indulging in a festive latte from their favourite coffee shop. Yet these delicious, warming drinks are secret sugar-bombs that can contain more sugar than a can of coke. One drink alone can even push a person over the NHS’ guideline of consuming no more than 30g, or seven-and-a-half teaspoons, of sugar a day. Below are three of the worst offenders, which could cause you to pile on the pounds if you over indulge in the upcoming festive season. 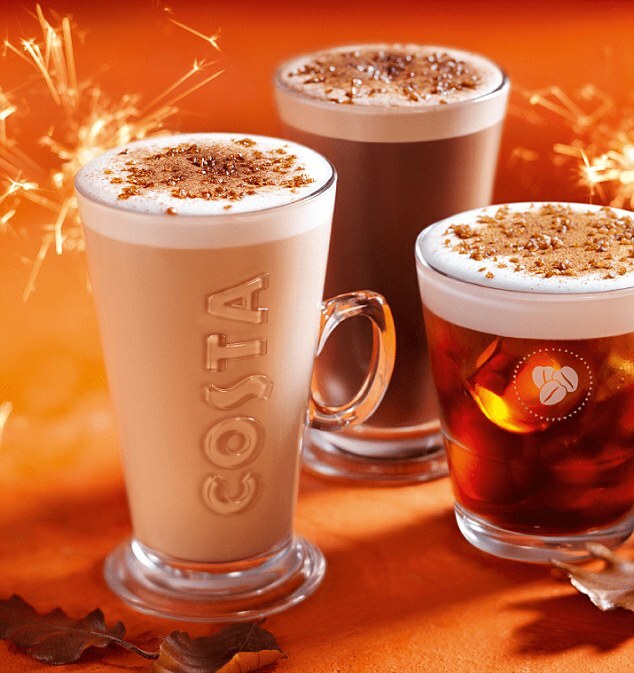 Costa’s newly launched ‘Bonfire spiced family’ includes a latte, hot chocolate and cold coffee, all of which are made with ‘rich caramel toffee’ and ‘crunchy caramel’. Although it sounds delicious, a small Bonfire hot chocolate made with whole milk contains a staggering 36.9g, or nine teaspoons, of sugar and 311 calories. This one drink alone therefore takes a person over their recommended daily sugar limit. A standard-sized can of Coca Cola contains 35g, or eight teaspoons, of sugar. 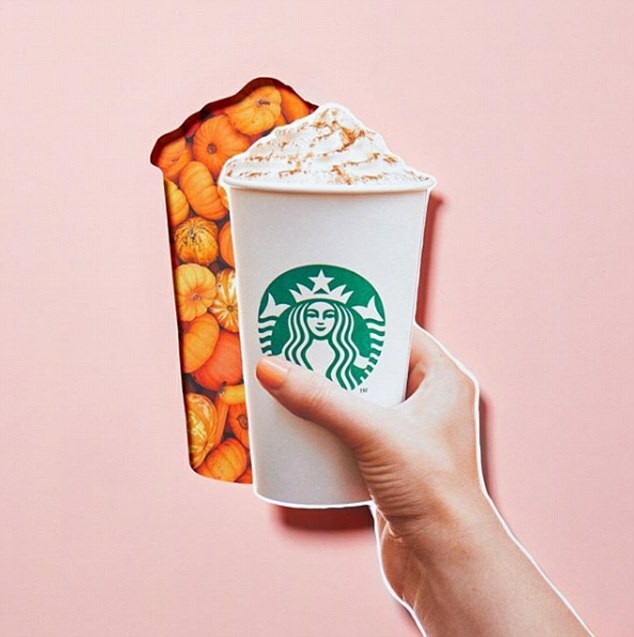 Starbuck’s ‘fall favourite’ Pumpkin Spice Latte has notes of ‘pumpkin, cinnamon, nutmeg and clove’, topped with whipped cream. The drink can be prepared with a variety of different dairy-free milks, with a small almond ‘mylk’ variety being the least sugary with 20.6 grams, or five teaspoons, of sugar. Opting for the large oat milk option, however, will have you consuming a staggering 48.9g, or 12 teaspoons, in that one drink alone. 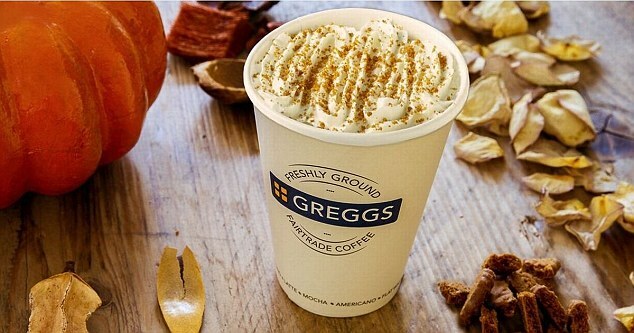 And Gregg’s Pumpkin Spice Latte, which comes topped with a ‘golden biscuit crumb’, includes 31g, or seven teaspoons, of sugar, as well as 240 calories. Kawther Hashem, nutritionist and researcher for Action on Sugar, told The Sun seasonal lattes are ‘laden with an unbelievable amount sugar and calories’, which likely contributes to the UK’s high rate of tooth decay. A Costa Coffee spokesperson told MailOnline: ‘The Bonfire Spiced Hot Chocolate is one of a range of drinks that we have launched as part of our autumn campaign. A Greggs spokesperson added: ‘Our limited edition Pumpkin Spice Latte caters for customers who want to enjoy an occasional seasonal treat. Starbucks previously argued it has already cut its Pumpkin Spiced Latte’s calorie content by 10 per cent and sugar by 13 per cent since last year. This comes after research released earlier this found children in England have reached their recommended amount of added sugar for the year by the end of May. NHS guidelines claim children aged between four and six years old should eat no more than 19g each day. Seven to 10 year olds should stick to 24g. Yet data from the National Diet and Nutrition Survey reveals, on average, children are consuming 52g a day, which is the equivalent of five Cadbury’s Freddo bars. Over the course of a year, this amounts to roughly 19,050g of added sugar – more than double the recommended 7,850g.